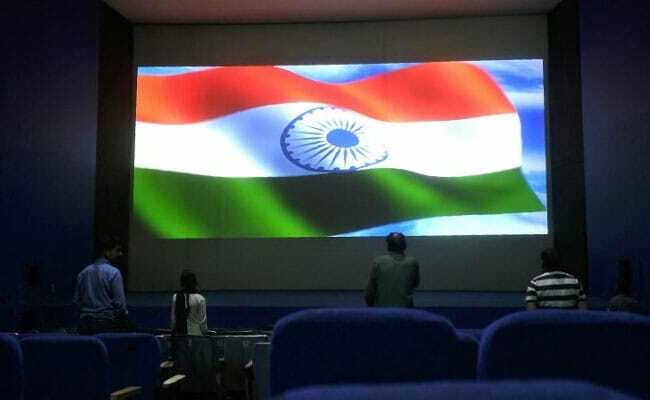 Initial order said all present in the theatre must "stand up in respect"
The playing of national anthem before the screening of movies should not be made compulsory for now, the government told the Supreme Court today. A final call can be taken on the issue once a ministerial panel comes up with its guidelines on this, the government said. The initial order, issued in November 2016, said all those present in theatres must "stand up in respect" till the anthem ended. The practice would "instill a feeling within one, a sense of committed patriotism and nationalism," the bench, led by Justice Dipak Misra, who later became the Chief Justice of India, had ruled. After an appeal to recall the order, a different bench of the court - which also included Chief Justice Misra -- modified it last October. "People do not need to stand up at a cinema hall to be perceived as patriotic," the court said, adding that it "cannot be assumed that if a person does not stand up for national anthem, then he is less patriotic". The court said the government should take a call on the issue, instead of "shooting from the court's shoulder". Criticising the government's inaction, Justice DY Chandrachud, who was part of the bench, asked what was stopping it from amending the Flag Code. "Nowadays, the anthem is played during matches, tournaments and even Olympics where half of the crowd does not understand its meaning... You can amend it and say where to play national anthem and where it can't be done," the judge said. After the Centre's submission today that it would wait for the ministerial panel's recommendations, the court will take up the case tomorrow.